We are located in the Agnew Depot, located at 4185 Bassett Street, Santa Clara, CA 95054. The depot was built 1877 - 1879 by the (narrow gauge) South Pacific Coast Railroad, which was bought out by the Southern Pacific and standard gauged in the early 1900s. 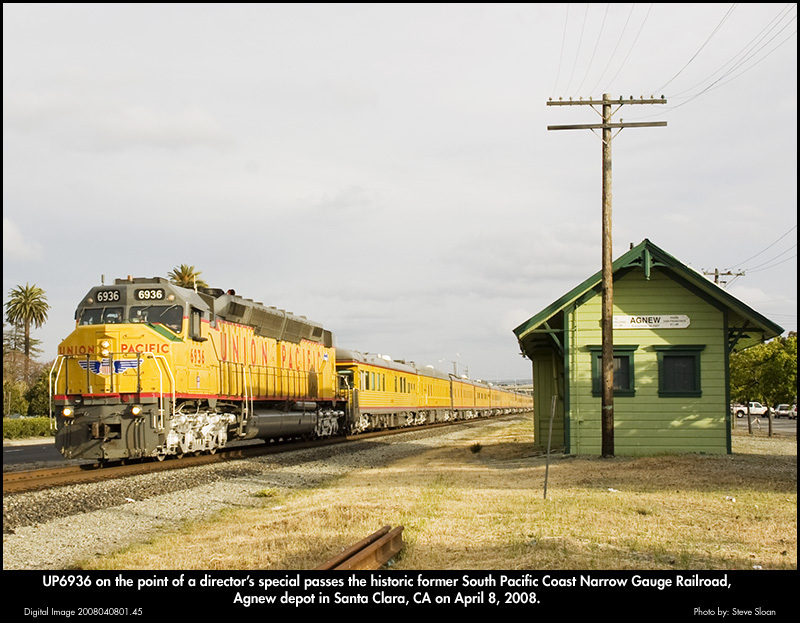 The Union Pacific's Coast Line runs right next to the depot and trains are frequent.